The capital city of India has a lot more to offer apart from its famous monuments and extensive shopping centers. One does not always want a vacation where they are always on their toes, ready to hop from one location to the other. If you are in Delhi and wish to spend a relaxing day, you will be surprised to know about the innumerable garden parks in the city. The government has been working very hard to maintain greenery in all part of the city and therefore, almost all the parts have famous garden parks. These parks are the best way to escape the hustle and bustle of the city without actually leaving the place. So, if you wish to spend a day relaxing in a peaceful environment, you can go visit any of these parks. 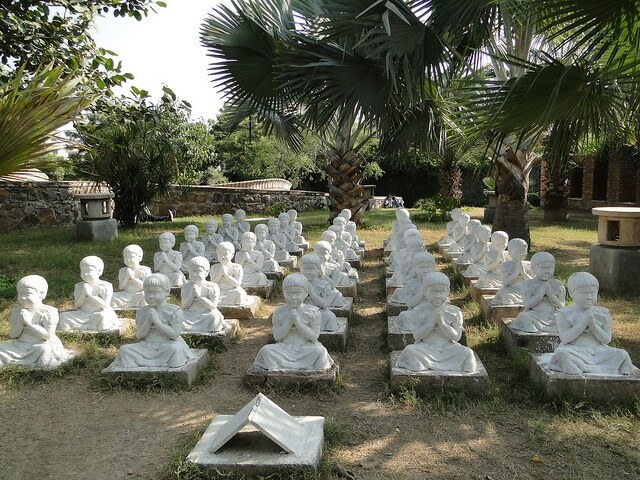 Garden of Five Senses covers an average area of 20 acres. The name of this garden comes from the experience people have had here. They claim that they feel like all their five senses are stimulated. The garden is no less than a paradise for a nature lover with the flourishing flower beds and magnificent fountains. There is a variety of over 100 types of plants and flowers. The garden also has the facility of fine dining. To sum it up, one can say that this garden is a perfect place to spend time with your loved ones, immersing yourself in the beauty of nature. Lodhi garden is one of the oldest gardens of Delhi. This garden covers an area of about 90 acres and dates back to the 15th century. Its architectural structure speaks of the time it was constructed. It is maintained by the Archeological Survey of India as it counts as one of the heritage sites. 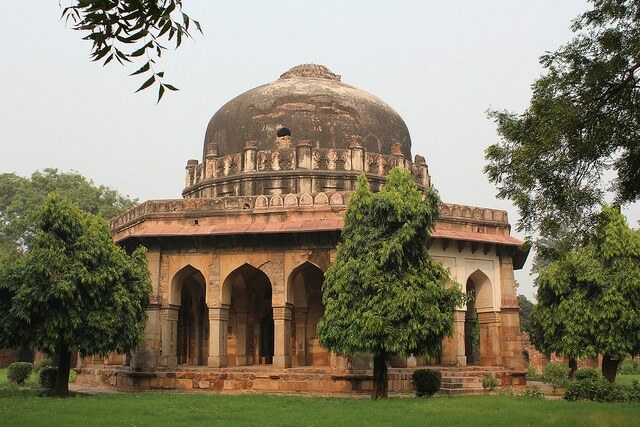 The park houses the tombs of two great emperors Sikandar Lodhi, Muhammad Shah, and of two unknown members of Lodhi family, the remains of whom are housed in the Sheesh Gumbad and Bara Gumbad respectively. These tombs speak very highly of the Lodhi architecture. The place brims with joggers both in the morning and evening. It is a beautiful place to spend some quality time. The deer park can almost pass for a mini forest. It is often known as the ‘lungs’ of the capital city as this is probably that one place where one can breathe freely without any pollution. The park is a great place to go for a outing. It has almost everything one can imagine at a garden. With the deers walking about freely and the park being divided into different sections, one just cannot get bored of this place. The deer park also houses a fountain, a duck park, a few picnic spots here and there, and a number of monuments that date back to the Mughal era. It would be a waste to not visit such a beautiful place. 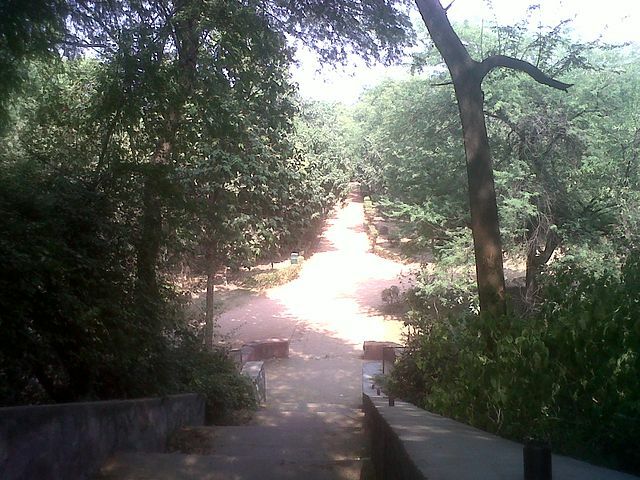 The Japanese garden comes under one of Delhi’s largest gardens. It has five lakes within its perimeter. Apart from walking and jogging along the lush greenery, you can opt for a peaceful boat ride in one of the lakes. The park has playgrounds for the little ones to will have a great time as well. The best time to visit the park would be during the sunrise or the sunset when the view is nothing less than breath taking. As the name might suggest, this park was named after India’s first Prime Minister, Pt. Jawaharlal Nehru. 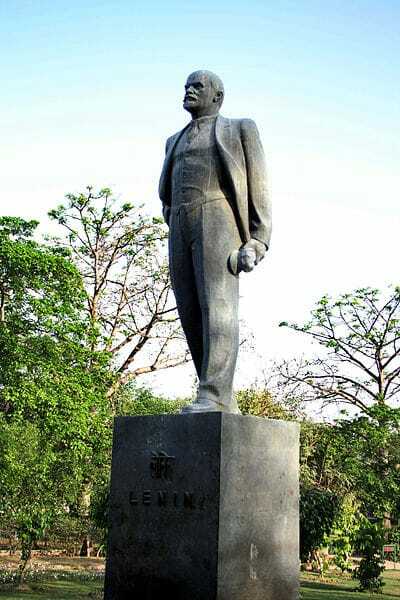 Nehru park stretches over 80 acres of land. The park looks beautiful and is a picturesque location. Apart from the usual jogging and walking, people host a number of events here. Many music concerts and other such events take place in this park. Winters are really the days to come and spend some time here. We all visit the main stream places of every city we tour. It would be a great and positive change to visit the garden parks for once. It would be a good break from the busy and chaotic city life. If you have come to Delhi for a vacation or are a localite, you should definitely take a day out to visit at least one of these beautiful gardens. The experience would be nothing less than rejuvenating.